ove this B&W chair cover fabric - and I found it at Joanne Fabrics, of all places, which by, the way, has a decent selection of geometric and bold patterns. 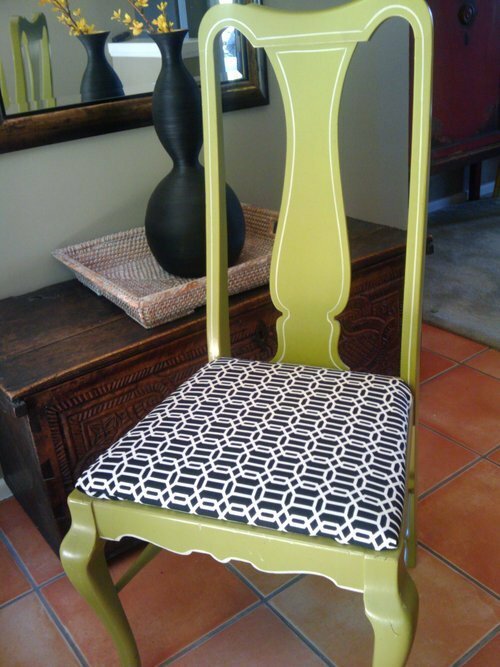 I’ve been thinking of painting these two vintage chairs now that I’ve found a cool fabric. But I actually love the light green original hand-painted look. What do you think? Paint them black? Paint them Kelly green? Keep them original?